Late Guy McGullicuddy!! New Zero Chance Podcast is Up! We’re all over the map this week. 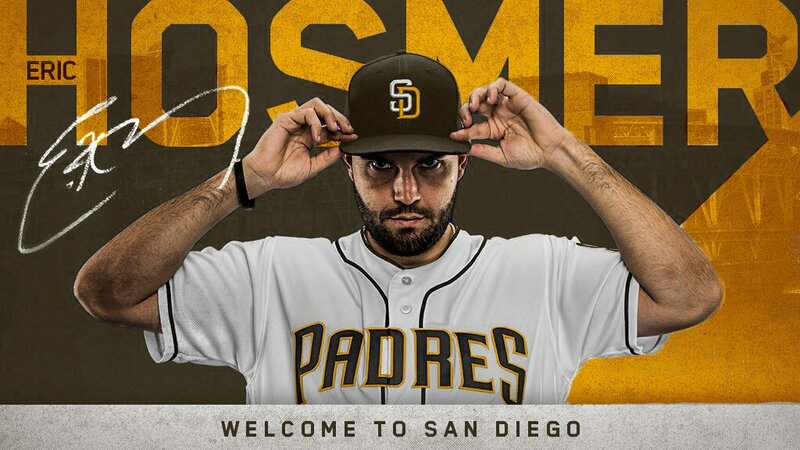 Tiger to Bonds to Rebel to Jake to Andy to Pets to Machine to Hosmer, and more… like Rick’s 30 pound cell phone. Well well well, look who’s got a new logo! Podcast 4 is live! This is easily a Top 4 podcast of ours. Check it out here in iTunes. 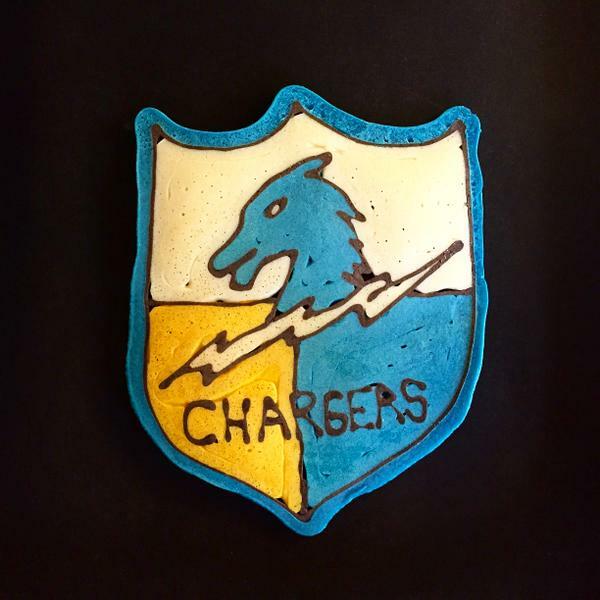 Zero Chance Podcast with Special Guest, Lana Berry! We did it! We made it all the way to our third episode. This week we were lucky enough to be with Lana Berry as our guest. You can find her on twitter @Lana or her website. Here’s the iTunes podcast link. Episode 2 of the Zero Chance Podcast is up and firing! Get into it. If you guys could please give us a follow on twitter @ZeroChancePod. and more importantly, please subscribe on iTunes and give us a nice review, we’d appreciate it. Hugs all around. The Zero Chance Podcast is Here! After years of debating doing it… I’m finally doing a podcast. I’ve teamed up with my buddy Rick Romero from RJ’s Fro and together we’ve started the Zero Chance Podcast. 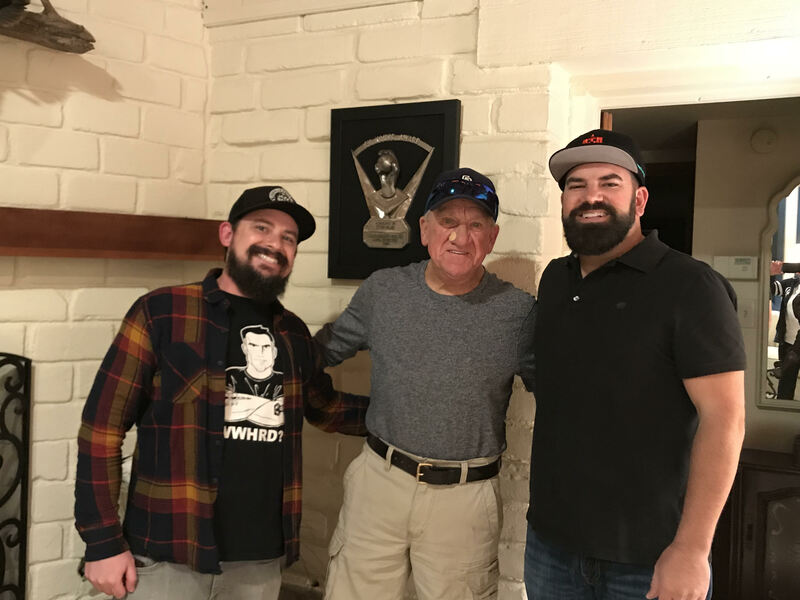 We locked down our friend and San Diego legend Randy Jones for our inaugural first podcast. We’re still working out some of the kinks, like a logo, and getting our pod on all the necessary platforms, but we’ll get there soon. Here are all the links to find the inaugural first episode of the Zero Chance podcast. 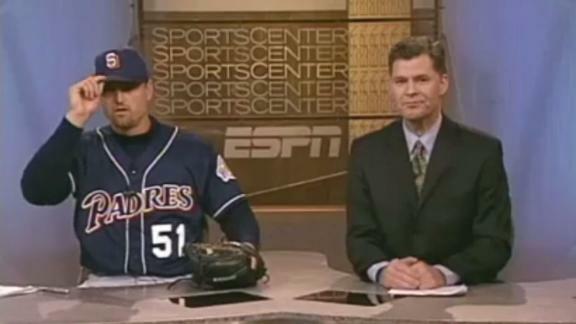 Does Trevor Hoffman Belong in Cooperstown? It’s been almost a month since Bryce Harper’s ESPN article “Sorry Not Sorry,” where he destroyed baseball’s unwritten rules, calling for a change in the game. “Baseball’s tired,” he says. “It’s a tired sport, because you can’t express yourself.” I loved it. Then it hit me. Trump’s stupid MAKE AMERICA GREAT AGAIN hats were everywhere. 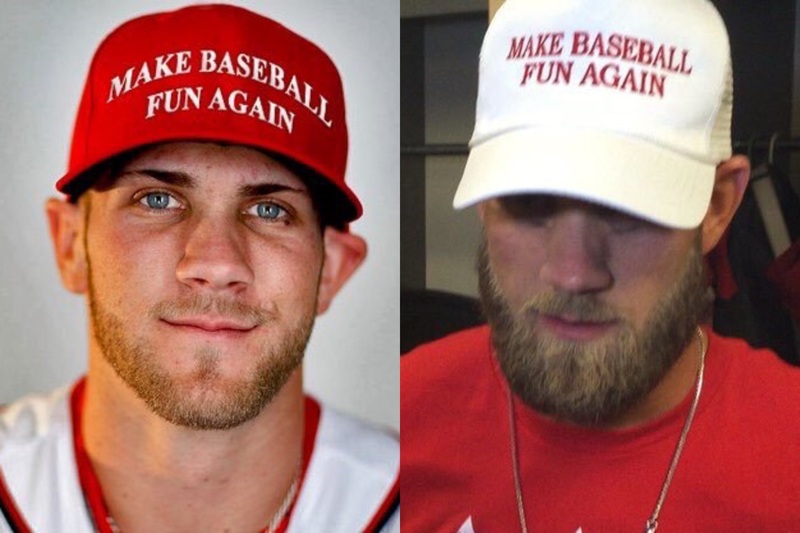 What if I made a hat for Bryce Harper that said MAKE BASEBALL FUN AGAIN? It was perfect. I’m not so hot at photoshop (super-hot at MS Paint though), so I hit up my buddy @nick_pants with the idea. Within hours, Nick came through like a champ with this. 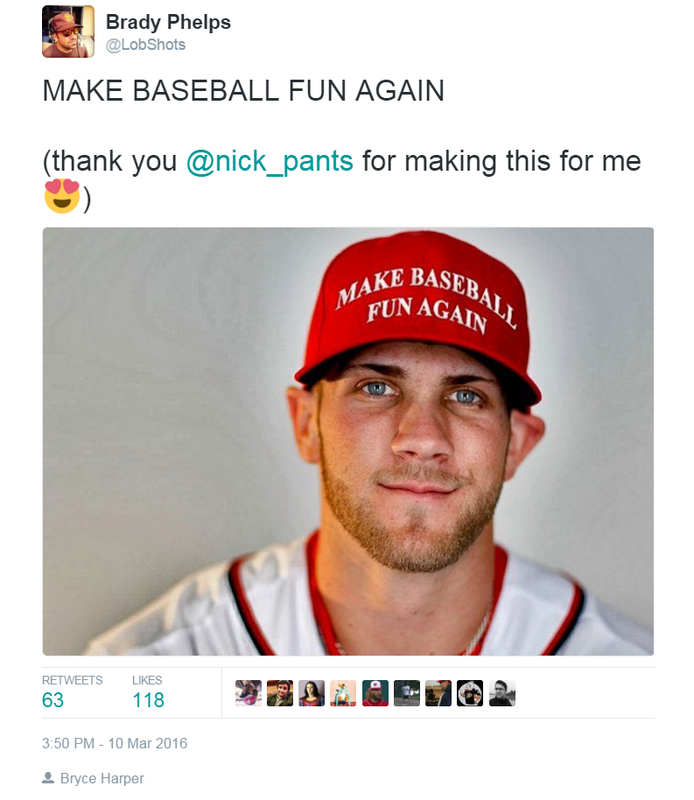 BRYCE HARPER MADE MY HAT IDEA INTO A REAL HAT AND WORE IT ON OPENING DAY. So that gets national coverage obviously… Barstool Sports, among other sites, are now making, and selling the hats that I created in my brain. For just $20, I can buy the hat that I designed! Everybody is talking about the hat. I’m a glass half full type of guy. 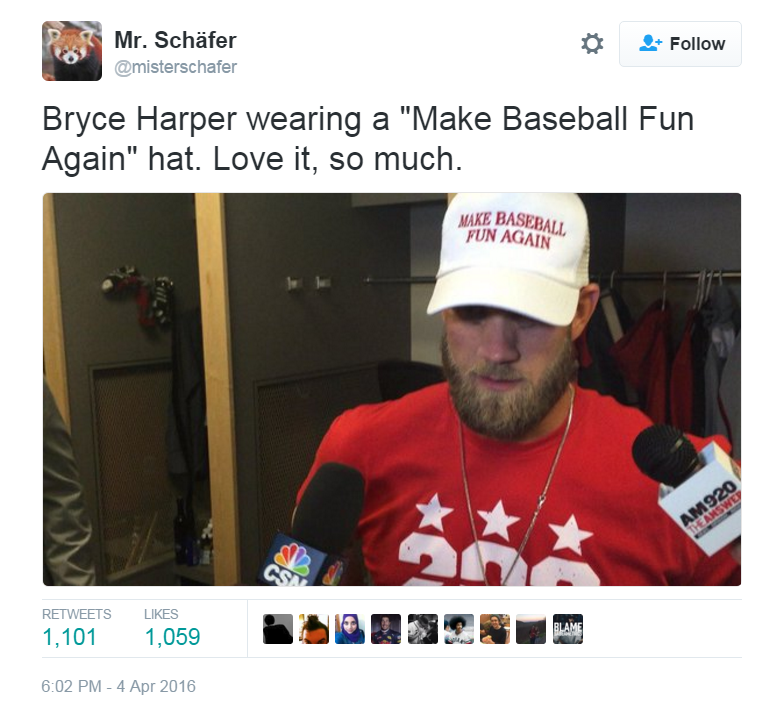 Glad you liked the hat, Bryce. Keep being awesome. I know what you’re thinking with that headline… “Brady hasn’t blogged in about six months, and he can still come up with fire headlines like that? Still got it!” I know, I know. Crazy, right? 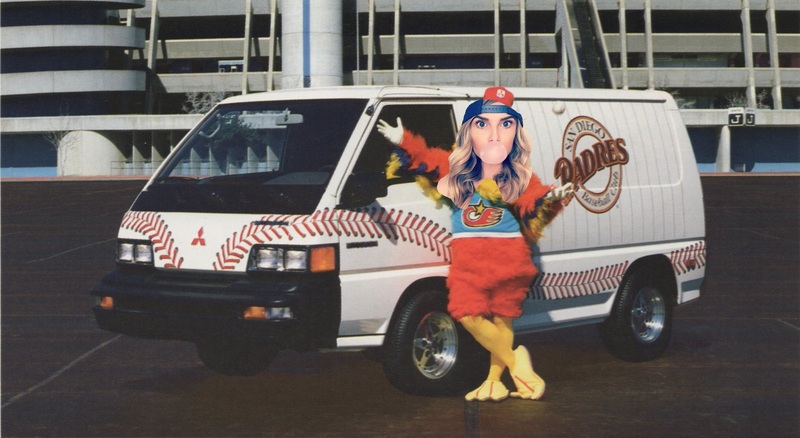 So, The Kept Faith guys… Dallas, Nick, and Travis, had me on their podcast and we talked about many things, especially Padres baseball, the retired numbers moving from the batter’s eye at Petco Park, Bryce Harper vs. Goose Gossage, Adam LaRoche and his son vs. the world, and for the grand finale, the most complex breakdown ever heard of an American classic: Field of Dreams. Prepare to laugh, learn, laugh, and then probably cry. You can listen to, or download, the podcast here. On a side note, I’ll still be blogging from time to time, but know that I’ve still be a mad man tweeting machine on Twitter, so head over there to join the convo, (@LobShots) and if you want to see the pancakes I make on the regular, check out @ThePancakeDad on Instagram. Hey friends! I know things have been very quite on the ole LobShots blogging front. 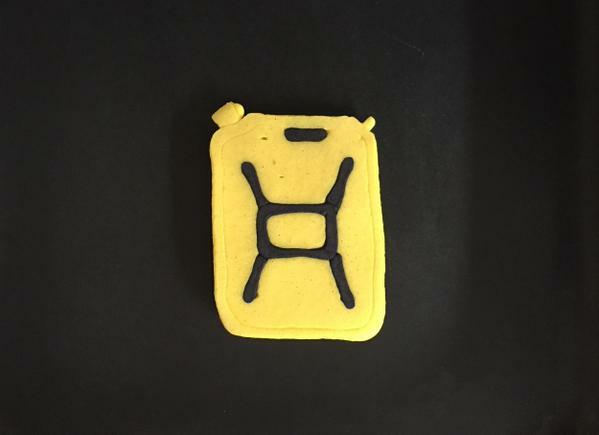 I’ve still been very active on the twitter machine, but for those of you that haven’t been following along, I’ve started a campaign for charity: water… Pancakes for Clean Water. PLEASE CLICK HERE TO CHECK OUT MY CAMPAIGN AND DONATE! Here’s the gist of it… there are 663 MILLION people in this world living without clean water, and that’s ridiculous. Here’s how you can make a difference… for a donation of $100 (or more) – I will make you a pancake and 100% of that money will go toward charity: water’s clean water projects in developing countries. Please click the link above to read more. I can make your kids’ favorite cartoon characters, your favorite sports team logo, or your business logo. 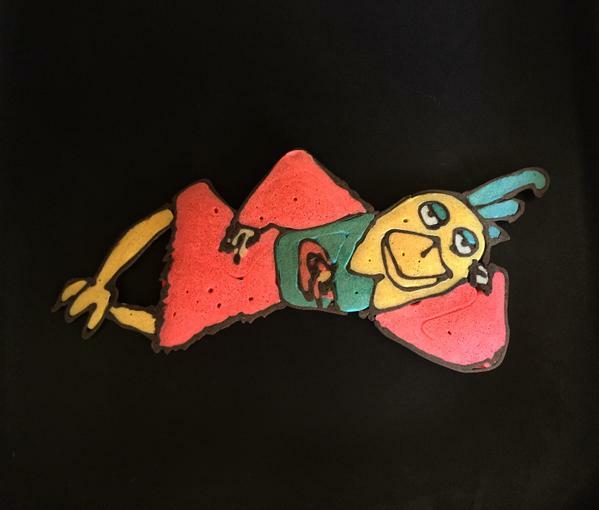 I will send you a photo and a time-lapse video of your pancake creation and promote it across multiple social media platforms. Get creative! Here are some samples on my @thepancakedad instagram account. The demand has been incredible and as of September 14th, we’ve already raised more than $8,000! That’s 267 people that will get clean water. That’s just amazing and I’m so thankful for everyone’s generosity. Keep the requests coming! Love you guys. Well, this is fun. 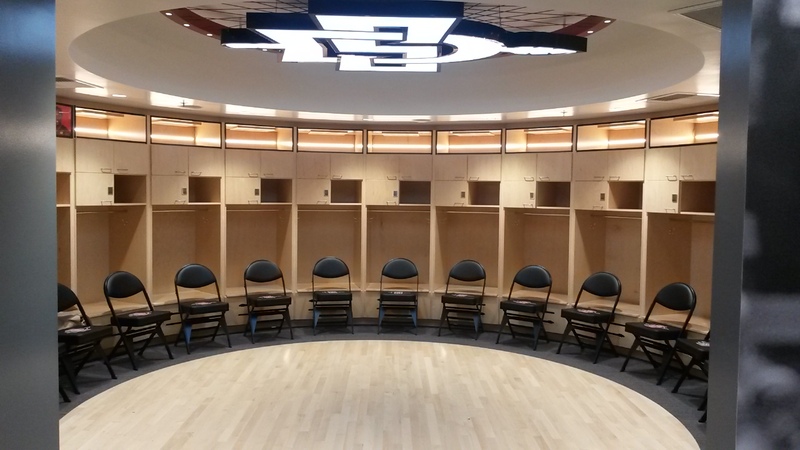 I was just sent some photos from a “source” of the new San Diego State University Basketball Practice Facility. A SOURCE I TELL YOU! I haven’t been in myself, but as you can see from some of the photos… it’s awesome and some of it isn’t even complete. 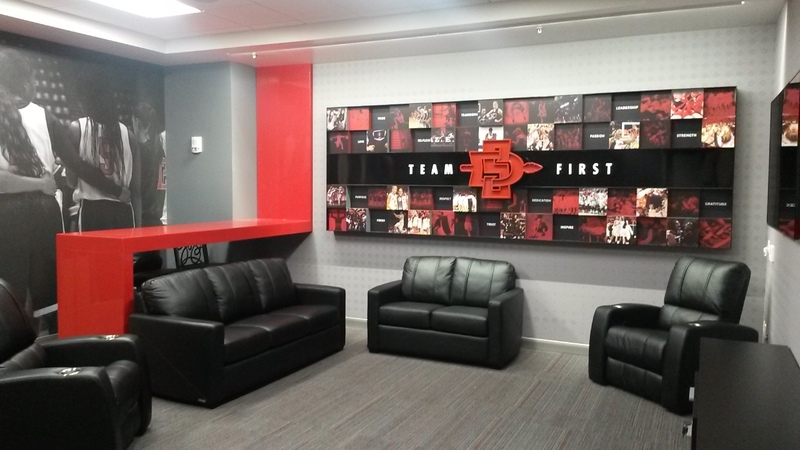 For example, the spear at the end of the San Diego State logo on the mural of The Show hasn’t been finished. 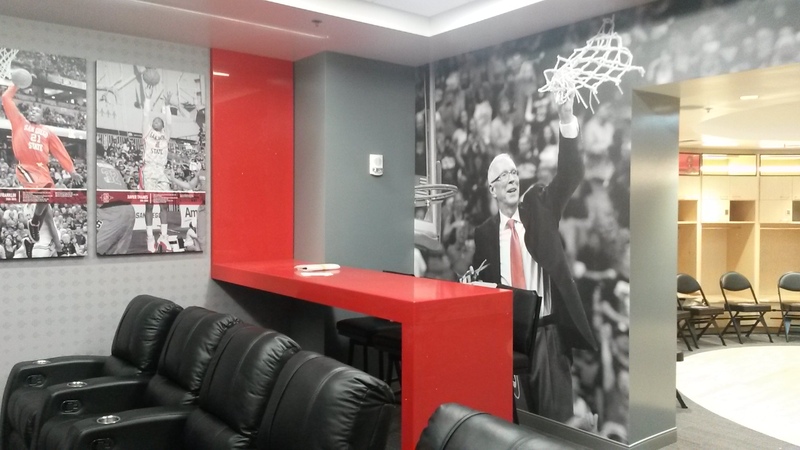 That’s a very cool tribute to the best student section in America. 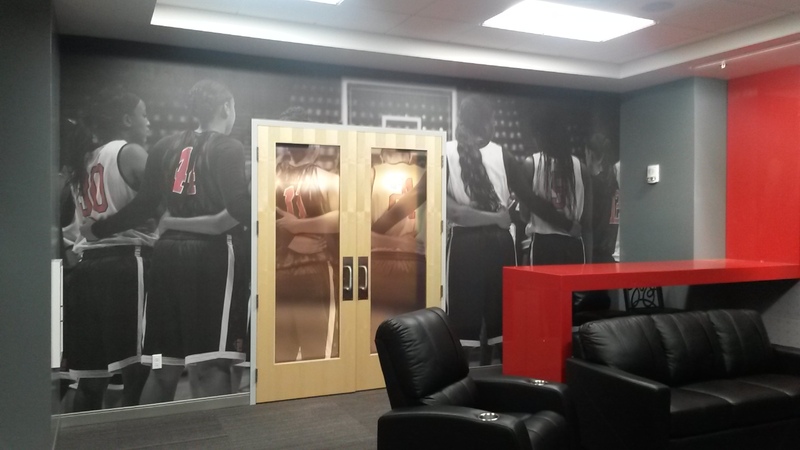 Here are the rest of the photos. That’s pretty fancy. 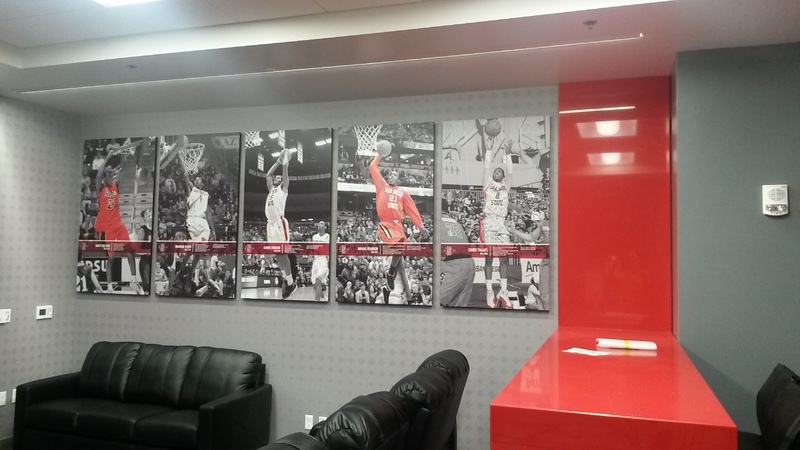 Some cool shoutouts to the program’s past and present. Team First.